2009: Can technology-oriented agreements help address climate change? 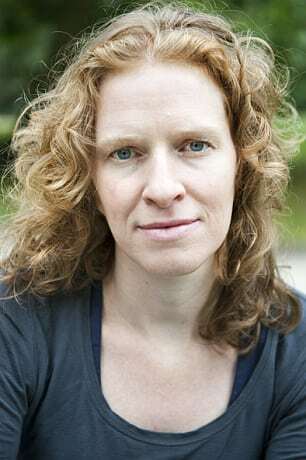 Heleen de Coninck is associate professor in innovation studies and sustainability at the Department of Environmental Science at Radboud University Nijmegen’s Faculty of Science. Before joining the university, she worked for over 10 years on international energy and climate policy at the Energy research Centre of the Netherlands (ECN), the largest energy research institute in the country. Her main research interest are in international climate policy, energy technology and innovation. At the moment, she is one of the Coordinating Lead Authors of the IPCC Special Report on 1.5C. Heleen is a chemist and environmental scientist by background and has done her PhD on the role of technology and innovation in reaching an international agreement on climate change mitigation. Coninck, Heleen, de & Ambuj Sagar (2017). Chapter 15: Technology Development and Transfer (Article 10). In: The Paris Agreement on Climate Change. Analysis and Commentary. Edited by Daniel Klein, María Pía Carazo, Meinhard Doelle, Jane Bulmer, and Andrew Higham. Oxford University Press: Oxford, UK. Blanco, Gabriel, Reyer Gerlagh, Sangwon Suh, John Barrett, Heleen de Coninck, Cristobal Felix Diaz Morejon, Ritu Mathur, Nebosja Nakicenovic, Alfred Ofosu Ahenkorah, Jiahua Pan, Himanshu Pathak, Jake Rice, Richard Richels, Steven J Smith, David Stern, Ferenc L. Toth, Peter Zhou (2014). Drivers, trends and mitigation. Chapter 5 in the contribution of Working Group III to the IPCC Fifth Assessment Report. Cambridge University Press: Cambridge, UK and New York, NY. Available on www.mitigation2014.org. Benson, Sally, Heleen de Coninck et al. (2012): Carbon capture and storage. In: Global Energy Assessment, edited by Thomas B. Johansson, Anand Patwardnan, Nebosja Nakicenovic and Luis Gomez-Echeverri. Cambridge University Press: Cambridge, UK. Coninck, Heleen, de (2009): Technology rules! Can technology-oriented agreements help address climate change? PhD thesis at VU University Amsterdam. ISBN 978 90 8659 354 5. IPCC (2005): Special Report on Carbon Dioxide Capture and Storage. Prepared by Working Group III of the Intergovernmental Panel on Climate Change [Metz, B., O. Davidson, H.C. de Coninck, M. Loos, and L. A. Meyer (eds.)]. Cambridge University Press, Cambridge, United Kingdom and New York, NY, USA, 442 pp.